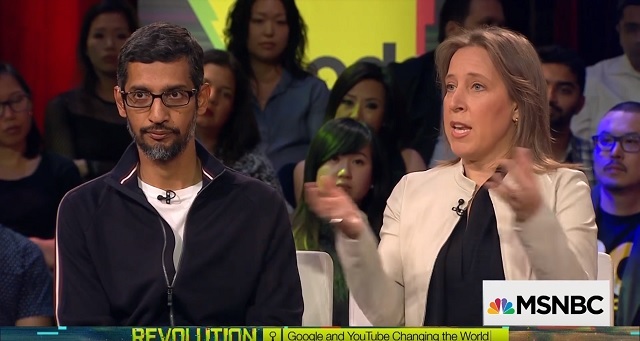 Diversity memo author James Damore expressed shock Monday after YouTube CEO Susan Wojicicki and Google CEO Sundar Pichai defended of their industry's lack of so-called "diversity" by echoing nearly the exact same statements he was fired for. "Did I read this right? Susan Wojicicki said that women find 'geeky male industries' (as opposed to 'social industries') 'not very interesting' and Sundar cites research on gender differences," Damore tweeted. The social justice warriors at Mashable were similarly outraged, titling their article, "YouTube CEO's response to lack of women in tech was cringey af." Despite Damore's ideas apparently winning out and being adopted by the same people who fired him, they said they don't regret firing him at all and it was the "right decision."